Here are some random cool things for yall to know. 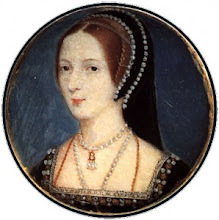 What would Anne Boleyn Do? Well now you can ask her in person. Head over to Anne Boleyn's blog. Between my friends and I, the major toys and cartoons we were into were Spongebob (of course) and Pokemon. Oh come on, you know you liked Pokemon. Who didn't? Yes, this is a chart of some of the original Pokemon. I'm telling you, my friends and I were OBSESSED with these little creatures. Of course, we all had crushes on Ash. He was a little animated cutie. Someone said she had a crush on Brock, which is weird because he just stood there and chased after girls. 1. The Striped Sweater Song -- Every time I even think of it, I have to start singing it. It's an instant classic. 2. Weenie Hut General -- So basically, there's this place called Weenie Hut Jr's, which is a hot dog restaurant for nerds. 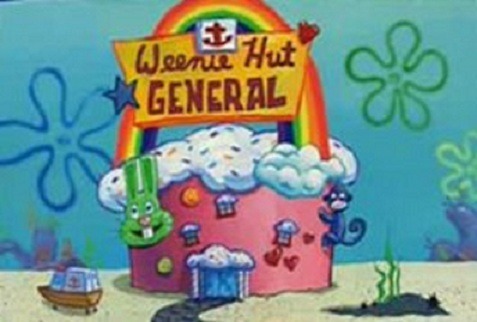 Then, Spongebob gets hurt and he has to go to the medical counterpart "Weenie Hut General." "Fancy livin, here we come! LA LA LA LA LAAAAAA"
Oh! What a lovely surprise to wake up to! I am very honoured. 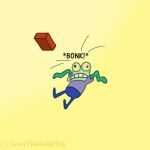 And I love Spongebob! Classic!